M94 is a face-on spiral galaxy that is approximately 15 light years away and spans 30,000 light years. 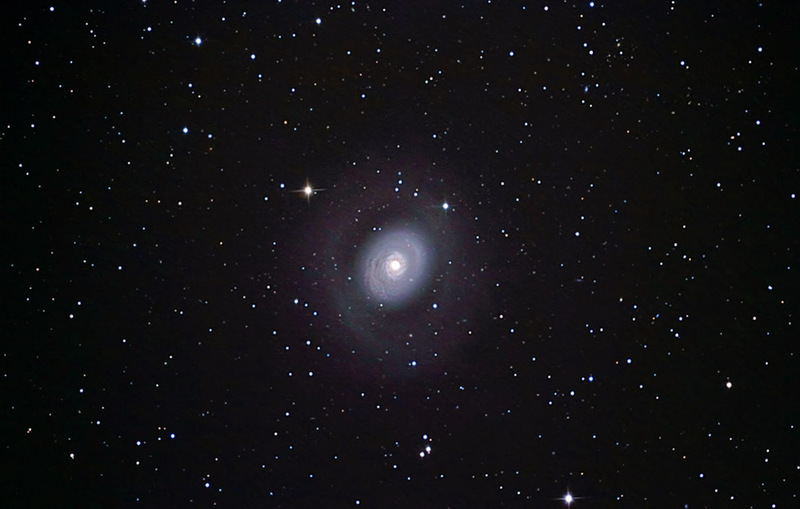 It is commonly referred to as the "Cat's Eye" or "Croc's Eye" galaxy due to its bright nucleus and faint outer rings. M94 is also known as a starburst galaxy because it is going through a period of intense star formation. Notes: Images were focused using Live View. The subframes were aligned and combined in ImagesPlus. The final image was adjusted in Photoshop.